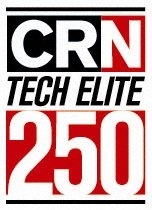 February 23, 2011 – Daymark Solutions, Inc. has been named to the inaugural CRN Tech Elite 250, which serves as the industry’s definitive list of VARs with both deep technical expertise and premier certifications. Daymark has been recognized as a best-of-breed integrator who has invested in technical know-how and earned premier information technology certifications. CRN Editors worked with solution providers and outside experts to define the most important technical certifications in the market today. By mapping certifications against the key technology opportunities as defined by CRN’s State of the Market and Midmarket study, the Tech Elite 250 recognizes the VARs most committed to helping customers innovate while reducing costs. “We are very pleased to be recognized by CRN. We partner with the industry’s leading infrastructure vendors and are committed to consistently achieving the highest levels of training and technical certification. This ensures that we are able to architect the right solution for each customer’s needs, deploy that solution properly, and help our clients plan for the future, ” said Tim Donovan, President, Daymark Solutions. Everything Channel is the premier provider of IT channel-focused events, media, research, consulting, and sales and marketing services. With over 30 years of experience and engagement, Everything Channel has the unmatched channel expertise to execute integrated solutions for technology executives managing partner recruitment, enablement and go-to-market strategy in order to accelerate technology sales. Everything Channel is a UBM company. To learn more visit http://www.everythingchannel.com. UBM (UBM.L) focuses on two principal activities: worldwide information distribution, targeting and monitoring; and, the development and monetization of B2B communities and markets. UBM's businesses inform markets and serve professional commercial communities with integrated events, online, print and business information products. For more information, go to www.ubm.com.